(Church calendar - Apr 4) Day of commemoration of venerable Joseph the Hymnographer of Sicily (883). Saint Joseph the Much-Ailing lived during the fourteenth century. 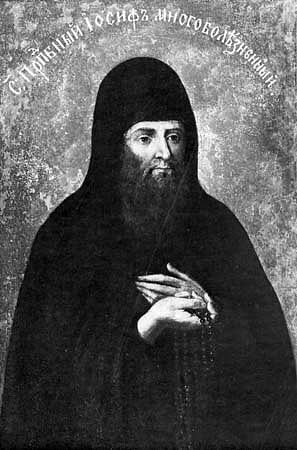 In his grievous illness he turned to God with prayer and vowed that if the Lord granted him health, he would then serve the brethren of the Kiev Caves monastery until the end of his days. After his return to health, he entered the Kiev Caves monastery, received monastic tonsure, and began to work at deeds of fasting and prayer, and to serve the brethren with love. After his death Saint Joseph was buried in the Far Caves (his memory is likewise celebrated on the Synaxis of the Saints of the Far Caves on August 28).